Want to travel around the splendid China in a tight pace without a relaxing cruise on Yangtze River? If you say “I am not sure”, then, you can have a look at our Top 10 China Yangtze Tours which may inspire you a lot. If you say “Yes”, just check the following top 5 recommended China tour packages without Yangtze River cruise which are best choices for your first time trip to China. We are the local China travel agency based not only in Chongqing but also in Chengdu with years’ experience to have helped thousands of visitors obtain their perfect vacation in China by creating ideal itineraries tailored to individual needs, interests, and budgets. You can rely on our expert experience and the highest level of service to explore the classic sights in China. Please feel free to inquiry the top 5 China tours below or customize your own China tour! 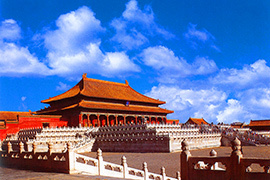 Experience China's glorious past in ancient capitals - Beijing and Xian. You’ll travel through China’s over 3,000 years’ history and witness the vivid scene of Qin Dynasty, Tang Dynasty, Ming Dynasty and Qing Dynasty. Besides, hiking, cycling, boating experience will add more fun during the exploration! 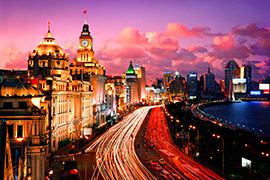 Enjoy a tale of two cities - Shanghai and Beijing! This tour will give you huge contrast no matter you wander leisurely in Shanghai or immerse yourself in the capital Beijing. You’ll find traditions hidden in modernity, history joining in numerous architectures…stories, surprises, excitements are the subjects for this 6-day trip. 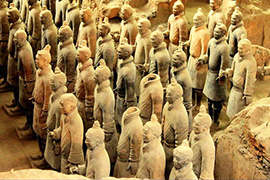 Catch the best chance to explore China’s past, present and future! In 8 days, you’ll travel from the capital of China - Beijing which is located in the Northern China, to the ancient heart - Xian full of Qin Dynasty and Tang Dynasty history located in the central China, to the largest metropolis with skyscrapers and west-meets-east culture located in the eastern China. 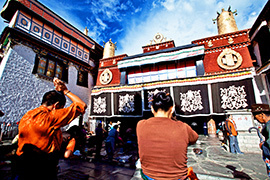 The golden triangle cities will surely show you everything about China! Go now! What do you expect in your China tour? Would you like to choose a trip full of fun experience as well as profound knowledge behind every cultural site? This trip combines the contrasting urban splendor of Shanghai, Beijing and Xian with the majestic sights of the Great Wall, Terracotta Warriors and the extraordinary karst landscape of Li River in Guilin. Besides, hiking, cycling, cruising activities are well designed into this tour. In 10 days, you’ll discover China’s most glorious highlights. Thousand years of history meet the vibrant pace of modern life in China. Travel to the most classic destinations in China and experience the spectrum of culture, religion, and giant pandas unparalleled anywhere in the world. History waits around each corner in Beijing and Xian, Tibetan Buddhism calls for every pilgrim from different places, lovely giant pandas are friendly to stay with, Shanghai’s west-meets-east can be found along Huangpu River. In 14 days, let us make the vacation of your dreams come true.